Care2 Healthy Living | Can Green Tea Ever Be Bad for Your Liver? Can Green Tea Ever Be Bad for Your Liver? Before you begin reading further, let me clarify: green tea as a beverage is not the subject here. In fact, drinking green tea every day is a good health habit that provides antioxidants and immunity-boosting benefits. But you might be surprised to know that health experts caution against taking supplements that contain green tea extracts, pointing out their potential to hurt the liver. I was surprised to hear that haloed green tea could ever be associated with anything mildly unpleasant, let alone pose a risk to the health of the liver. But the truth is, several weight-loss supplements and energy drinks contain green tea extract, and a number of case studies have established that even minimal use of these unregulated dietary supplements can lead to liver failure, requiring liver transplant. The source goes on to cite the case of a 37-year-old woman who was taking a weight loss supplement that had green tea extract as its major component. She developed nausea, abdominal pain and jaundice four months after starting the supplement. The Drug-Induced Liver Injury Network estimates that unregulated supplements now account for 20 percent of drug-related liver injuries. The catechin component of green tea has been identified as the culprit of hepatotoxicity. 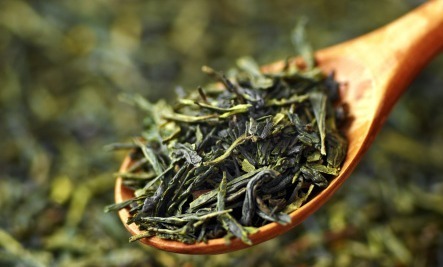 Approximately 10% of green tea extract is composed of catechins. Of these, one called EGCG is present in the highest concentration. There is great variability in the concentration of green tea extract, EGCG and other components among marketed products, which may explain while some products have been implicated in hepatotoxicity. Studies on rats have associated higher doses of green tea extract with higher risk of liver injury. Should you stop drinking green tea, then? No. Just be cautious of weight-loss energy supplements and energy drinks, especially those with green tea extract. Good to know. I drink green tea but would not take it if its extract is included as part of a supplement. Green tea is such a delicious, refreshing drink that I can't imagine wanting to substitute it with a pill.